Learn about the Main 8 beer off flavors, how to identify them, and how to correct them. 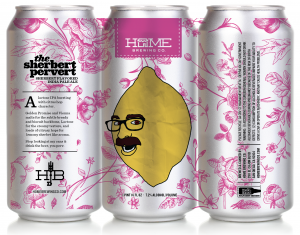 Join us at The Homebrewer while guest instructor and local award winning cider maker, homebrewer, and competition judge Brian Trout guides us through an exploration of craft cider. You will learn about the history and production of Cider while sampling examples of different styles from around the world. 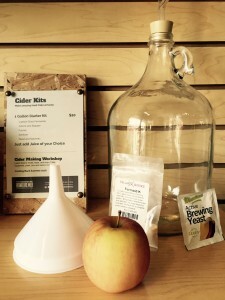 We will also teach you an easy step-by-step method for crafting cider at home. 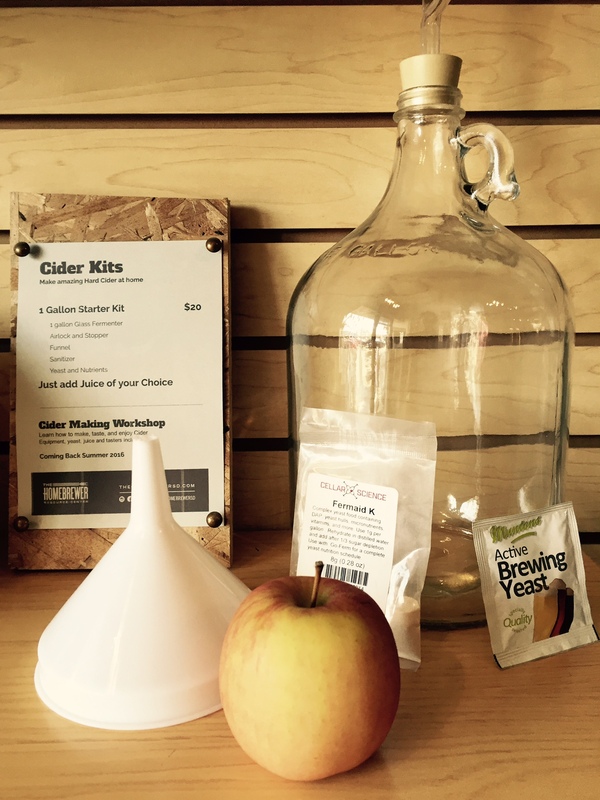 There is even an option to leave with all the supplies required to make your own 1 gallon batch of cider. *please note this workshop covers alcoholic, or “hard cider”. Class+Kit option: Take home everything you need for your first batch! Beer & Cheese Lovers Rejoice! Join us as we host the talented Cheese Gurus of Venissimo Cheese for a guided beer and cheese pairing! Flight will feature 5 Beers and Cheese Pairings, handpicked for maximum sensory satisfaction. Venissimo is a cheese lover’s dream come true. Knowledgable and friendly cheese nerds will guide you through the wonderful world of fromage, and make your next party, picnic, hangout, or dinner the best it can be! This beer is a Sherbert IPA. We don’t really know if that exists… but well… it does. Lactose, oats, and a blend of our favorite European base malts provide a hint of bread, toast, & pastries, and a rich and full bodied mouthfeel. A perverted amount of citrusy and fruity hops, but with low bitterness keep this beer drinkable and refreshing. We’ve also created some special glassware for the occasion. More details to come… but we’ll see you there! Want to eliminate the dreaded “homebrewed” taste from your brews? Learn from multi-award winning homebrewer Brian Trout how to fine tune and creatively modify your beers, meads and ciders. This seminar will focus on transforming your brewday by giving you the tools you need in the form of easy and often overlooked steps. This seminar will elevate your brews from average homebrews to superior craft brews. There will be a hands-on portion of the seminar where you will be able to “dose” a base beer to practice some of the tips you’ll learn in the seminar. This is the seminar Brian will be presenting at the 2016 National Homebrewers Conference in Baltimore. You won’t want to miss it! Brian an active member of San Diego’s QUAFF homebrewing club, president of Queso Diego (cheese making club), a BJCP and mead judge, instructor of numerous homebrewing and cider workshops, and contributing author for BeerAdvocate and West Coaster magazines. Brian has earned numerous regional and national awards, including two best of show mead/cider and two Brewing Machine awards at America’s Finest City Homebrew Competition, MCAB gold, silver and bronze medals, and a silver medal at NHC 2015 in the Sour Ale category. Participate in the AHA Big Brew for National Homebrew Day 2016 at The Homebrewer! Both clubs are part of the larger San Diego Firefighter homebrewing community and we are so lucky to have them. We will have beer to sample from Home Brewing Co. as well as food available for purchase. The brewers will be available to answer questions and demonstrate their techniques. Also, we will be raffling off a Equipment Starter Kit to a lucky new homebrewer — please bring your friends interested in this great hobby!